Hey guys, i have attended an awesome event which called Entrepreneurfes. I know about this event from twitter. Anyway i went there in first day from 6.30 pm - 9.00 pm. The place is in Epiwalk. I got two interesting session. The first one is Movie Industry and the second one Passion To Performance. I want to share what i've got there to all of you guys. The speaker are Wulan Guritno as produser. She produce "Dilema" movie if you already watch it. Then the second speaker is Ananda Siregar as CEO of Blitz Megaplex. And the last is Cesa David Luckmansyah as editor in some Indonesian movie such as "Get Married", "Sang Penari", etc. I got some point in this discussion. 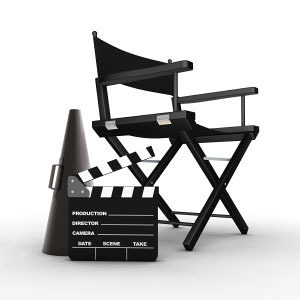 Cesa said movie industry is one of the industry that is not as much as like in economy industry, or engineering industry. So, the chance still big to be entrepreneur in this industry. Wulan guritno gave some her opinion and i really like it. She said that movie industry is not good industry IF you just want to get some profit. Because, some production of indonesian movie are loss. There are many reason why not easy to produce indonesian movie and get some profit. Many audience not really appreciate about Indonesian movie. They just want to watch box office movie. Or because the ticket price in cinema so expensive. Or about many reason such as bureaucracy, tax, government, marketing, etc. The point is if you want to play your business in movie industry, do it by your heart, by your passion. It is not about just want to get some profit. Because movie industry is not as easy as we imagine. The people behind indonesian movie have to struggle to develop Indonesian movie. Ananda siregar gave some another point of view. He said, he more "play safe" than wulan and cesa. All of us know that to build cinema need a lot of extra money. And it not easy to get money to build a cinema. But if we looking about risk, cinema is safer than movie production. As wulan guritno and cesa said as player in production system, risk of loss in production is much. So if you want to get some profit in movie industry, build a cinema. The speaker are my favourite coach, Rene Suhardono and his buddy Steve Kosasih. Both of them are founder and co-founder of Impact Factory. I like the way they speak in this session. First, coach rene asked to audience are we really entrepreneur? He asked "who in this room can leave your business for one year and when you back to your business it still run?" Just one audience who put her hands up. His opinion, we can called us as entrepreneur if we have sustainable business, if we can leave our business and it still works. They build a company which called "PT. Indonesia Lebih Baik". Because they know that we have our potential to be successful in the future but we didn't know about ourselve so much. a) Passion. Search an activity that we never feel tired to do that and enjoy it so much. If we know that, we got the first point. b) Purpose. What the vision of your life. Coach rene said "Sorry, but i have to say i not agree if somebody said their vision is to made our parents and family glad. It is too minimum. All we know that we have to parents and family glad. The purpuse have to be bigger than that. c) Innovation capabilities. Our capability to search some chance and create value in something that will be more expensive after we add some value on that thing. d) Grit. You show up no matter will happen. Somebody say you're crazy or something just do your business if that already on the right track. Believe yourself.